Mohammed Dahiru Aminu takes a cursory look why Northern Nigeria is educationally disadvantaged and has not so far fully embraced Western education till today. He goes historical into foundations of the type of education in the North as ingrained by the British colonialists. I recently came across an interview granted by Dr. ChiChi Aniagolu-Okoye, the country director at Girl Effect Nigeria, where she discussed, amongst other things, Northern Nigeria’s educational disadvantage. In the interview, Dr. Aniagolu-Okoye tried to debunk the fact of Northern Nigeria’s educational disadvantage. She said that the region cannot be said to be educationally disadvantaged when the country has never had an apartheid government, and that, in fact, for the most part of its history, Nigeria had been ruled majorly by Northerners. 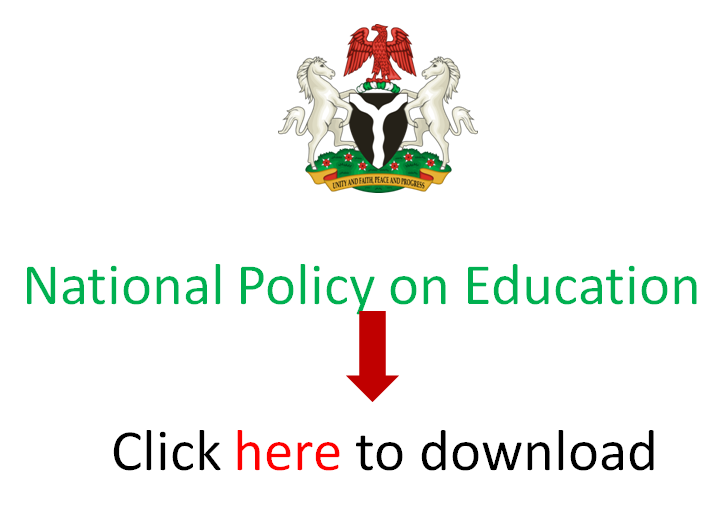 While I do not dispute some of the arguments put forward by Dr. Aniagolu-Okoye, such as that it is high time Northerners moved away from associating themselves with the often devaluing ‘educationally disadvantaged’ tag, so that they could liberate themselves from being ridiculed by the competing forces in school admission requirements and government employments, I, however, disagree totally with her view that Northern Nigeria has never been disadvantaged, educationally. To worsen the situation even further, the Northern Nigerian commoners were hesitant in sending their children to schools until so many years later, simply because they did not see the reason to do so. In the mid-1940s for example, most boys from humble backgrounds who had finished schools in Northern Nigeria could not find jobs in the Native Authority, and only children of the nobility did. It is clear from the interview that Dr. Aniagolu-Okoye is not well acquainted with the history of education in Northern Nigeria, from the colonial periods and unto the modern day. She was not aware, for instance, that the first three governors of the northern region during the colonial periods had a bad experience in the Mahdist Sudan in the late 19th century, which led to the Mahdist War (ath-Thawra al-Mahdī) prior to their deployment to northern Nigeria by the colonial administration. History is replete with the causes of the Mahdi uprising led by the religious leader, Muhammad Ahmad bin Abd Allah, against British colonial officers. The British participation in the war was well documented by Winston Churchill (a participant, who later became prime minister of Britain) in his book The River War: An Historical Account of the Reconquest of the Soudan (1899). Because of the experience in the Sudan, the British colonial officers came to Northern Nigeria with the intent not to reproduce the type of radical Muslim intellectuals that they had to confront in the Sudan, and even elsewhere in Egypt and India. With that resolve in mind, the British had a set of policies that included the need to keep most Northerners as illiterate as possible. But when there is a need to allow Northerners to have access to education, the British equally resolved to educate them only in the sense that they could become competent employees of the Native Authority, and thus, be subservient to the colonial administration, always. It was therefore a categorical policy that included, principally, a fortitude to instruct Northerners to respect colonial hierarchies, while upholding the primacy of the white man; and to also teach Northerners technical skills that were required at the time, while making sure that the education they received did not make them develop the capacity for independent thought that could lead to a revolt against the system. The effect of these policies was visible in Northern Nigeria in the mid-20th century. For instance, of all the protectorates of imperial Britain, Northern Nigeria had the least number of schools. As at 1959, Barewa College was the only college in Northern Nigeria which offered the Higher School Certificate (HSC), while there were 20 schools in Southern Nigeria which offered the same qualification. At the time Nigeria gained independence from Britain in 1960, there were approximately 2000 elementary schools in the North with an enrolment figure of 200,000, while there were 9000 elementary schools in the South with an enrolment figure of 1.2 million. More interestingly, these figures were before the Universal Free Education was authorised in the Southern region by Chief Obafemi Awolowo. It is also true that nowhere in the imperial British colonies around the world did we have the wide gap between education for boys and girls that we did in Northern Nigeria. These gaps were because of the British colonial policies on education in the northern region. The first boys’ school in Northern Nigeria was set up around 1910, and the first girls’ school was set up almost 30 years later, and even more interestingly the girls schools were aimed at teaching mostly children of the noble families, with curricula that was designed to educate the girls on how to become good wives and daughters of the educated men; without any attempt to give the girl child a reason to think about constructing her own economic existence. To worsen the situation even further, the Northern Nigerian commoners were hesitant in sending their children to schools until so many years later, simply because they did not see the reason to do so. In the mid-1940s for example, most boys from humble backgrounds who had finished schools in Northern Nigeria could not find jobs in the Native Authority, and only children of the nobility did. There was a reason for this—the British Indirect Rule system was primarily instituted to give advantage to the traditional system in Northern Nigeria, so long as the traditional system, where the children of the nobility came from, remained loyal to the interests of imperial Britain. It is important to state, however, that Northern Nigeria was not entirely an illiterate society before colonialism. There was the Ajami literature where Hausa language was written using Arabic characters, and this was stopped because imperialist officers at the time of colonialism felt that if they allowed the continuation of Arabic inscriptions, they would basically encourage a persistent surge of the Mohammedan religion. This detestation and fear of the Mohammedan religion continued in Nigeria until recently, when non-Muslim Nigerians advocated for the removal of the Ajami script on the national currency. The president and the central bank governor at the time agreed to the removal because they believed that it was Arabic, and therefore, Mohammedan. Dr. ChiChi Aniagolu-Okoye also said that Northerners are not educationally disadvantaged, as there are brilliant people within the North such as Emir Muhammad Sanusi II. She said what Northerners lacked was an environment for good education. This is a no-brainer and it goes to even further dispel her earlier position on the educational disadvantage of Northerners. No serious person will even debate that a given group of people are naturally more intelligent than another group, but what is certain is that no matter how intelligent you are, you remain a potential until you are exposed to a systematic process of learning to awaken that potential. So, yes, Northerners are very brilliant people like other people in the world, but they have suffered from educational policies that contributed to their problems today. Emir Sanusi II, whom the Dr Aniagolu-Okoye quoted, agrees with this position very well, and he even espoused this thesis in of one of the lectures he gave recently at the School of Oriental and African Studies, London. Dr. Mohammed Dahiru Aminu (mohd.aminu@gmail.com), writes from Cranfield, England.